The Institute of Maltese Journalists (IĠM) Council on Monday had a cordial meeting with Prime Minister Joseph Muscat at Castille. The IĠM delegation, headed by chairman Malcolm J. Naudi, was composed of deputy chairman Charles Flores, secretary Tony Barbaro Sant, treasurer Mario Schiavone and information secretary Roderick Agius. 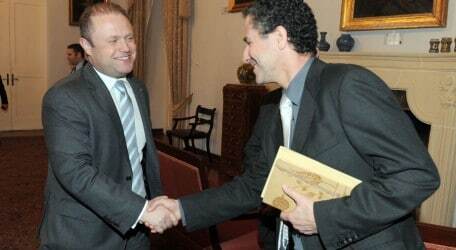 Dr Muscat was accompanied in the meeting by Education Minister Evarist Bartolo, Chief Government Spokesman and Whip Carmelo Abela and Head of Government Communication Kurt Farrugia. Among the issues raised by the Institute during the 45-minute meeting were the abolition of criminal libel, the need for a graduate course in journalism to attract new blood to the profession, representation of media owners on the IĠM Council, and the IĠM’s efforts to introduce a common Code of Ethics across the local media.